1706 Marries Charles Howard (later Earl of Suffolk) Henrietta becomes the mistress of George, Prince of Wales, later George II. 1724-29 Marble Hill is built for Mrs. Howard. The architect is Roger Morris under the influence of Lord Herbert. The grounds are laid out under the influence of Alexander Pope and Charles Bridgeman. 1731 Becomes Countess of Suffolk when her estranged husband assumes the title on the death of his elder brother. 1734 Dismissed from court shortly after the death of her estranged husband. 1735 Marries George Berkeley (died 1746), but retains the title of Lady Suffolk. 1756 Henrietta's brother, John Hobart 1st Earl of Buckinghamshire dies and she inherits 24 acres and the house known as Little Marble Hill. 1767 Lady Suffolk dies at Marble Hill on 26th July. The estate is entailed and cannot be sold by her heirs Lady Suffolk's nephew, 2nd Earl of Buckinghamshire, inherits the house and occupies it from time to time until his death in 1793. 1768-9 House is let to John Halliday of Marylebone. 1793 Lord Buckingham dies. 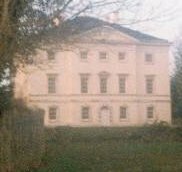 Lady Suffolk's great niece, Henrietta Hotham, has a life interest in the house until her death in 1816, but usually lives either in Little Marble Hill or in Richmond. 1795-6 House let to Mrs. Maria Fitzherbert, morganatic wife of George IV Later tenants include Lady Bath, Viscount Howe and the Dowager Duchess of Bolton. 1812-17 Marble Hill occupied by Charles Augustus Tulk, the prominent Swedenborgian and patron of Willam Blake and John Flaxman. 1824 The Hobart heirs break the entail and sell Marble Hill to Timothy Brent, an army agent who lives in Little Marble Hill. 1825 Marble Hill bought by Captain (later Lieutenant-General) Jonathan Peel for £9,298 3s. Peel, a younger brother of Sir Robert Peel, was a soldier, an M.P. and a keen racing man. He married the daughter of the Marquis of Ailsa. The Peel family usually occupied Marble Hill for the next 60 years with occasional tenants. 1831 House let to Marquess Wellesley, former governor-general of India, and elder brother of Arthur Wellesley, first Duke of Wellington. 1837 Marble Hill advertised for sale but withdrawn. 1851 Marble Hill let to Lord Rugeley. 1876 General Peel acquires grounds of Little Marble Hill (house already demolished) and adds them to the Marble Hill estate. 1879 General Peel dies, his widow Lady Alice Peel remains in occupation. 1887 Lady Peel dies. The contents of the house are auctioned off, but the sale of the house and estate found no buyers. Asking price is £52,000. 1898 The Cunard family purchase the estate for £35,000 and plan to convert the grounds into a suburban housing estate. 1902 After a public campaign and donations from various local government bodies and individuals, £72,000 is raised and the property transferred in trust to London County Council on 1st August. 1903 The park is opened to the public as a tea room. 1965 Ownership passes to the new Greater London Council. A major restoration project takes place. 1966 Marble Hill reopened as an historic house museum.